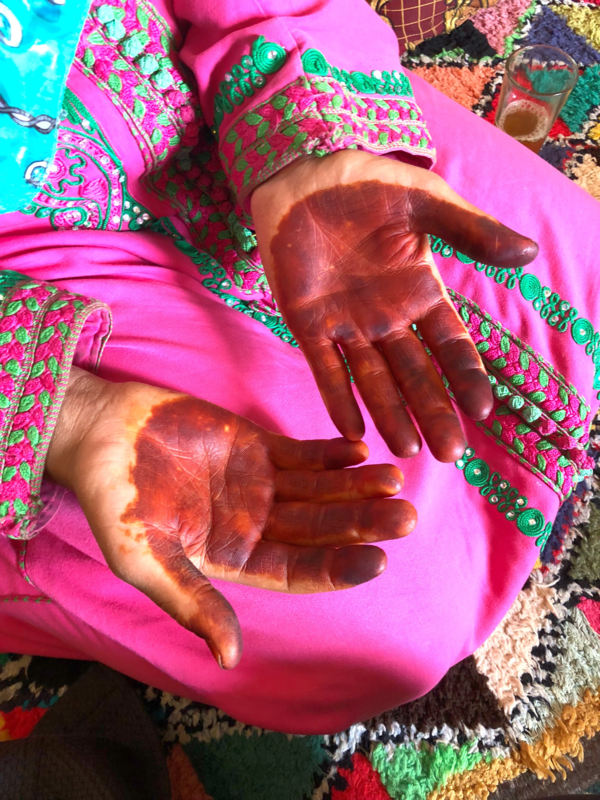 With only $150 and 4 children aged 6 and under, Khadija and Jamal took the plunge to start Henna Sooq. With that $150 in hand they bought 50 boxes of henna powder as the very first product they had for sale in the online store. Khadija first fell in love with henna after using Moroccan henna powder for her hair that she had discovered in a Moroccan shop in Montreal. The Moroccan shop was filled with the most beautiful of Moroccan ornaments, clothing and traditional beauty products. With her curiosity to learn more about henna, Khadija decided to take a henna body art workshop to learn more. The henna body art class turned on the flame of her creativity and then in turn began the creation of Henna Sooq. She knew it was time to make a decision. With so many young kids, how would this be possible? Could she and Jamal even be successful? It was a risk they decided to take. What they did know was that they had the drive and passion and it would enable them to support their growing family. 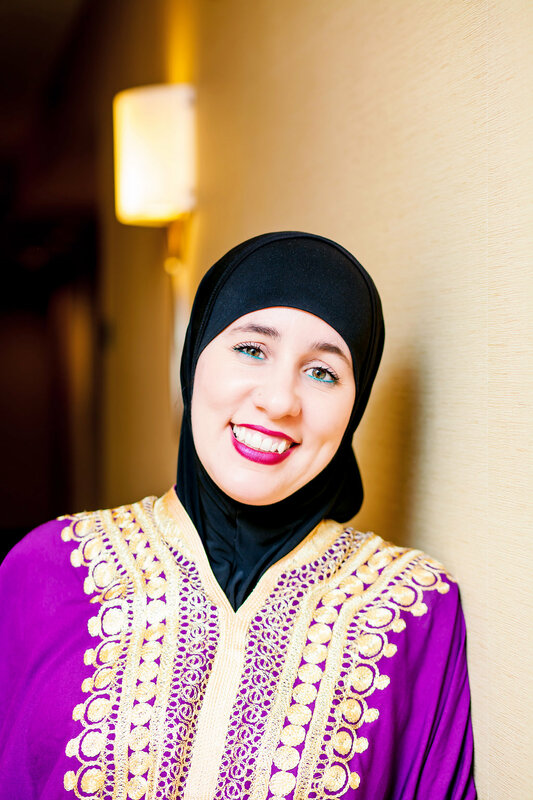 It seems like almost yesterday that Khadija was filling individual henna packages by hand in her little warehouse space while working from home when they first started their business. 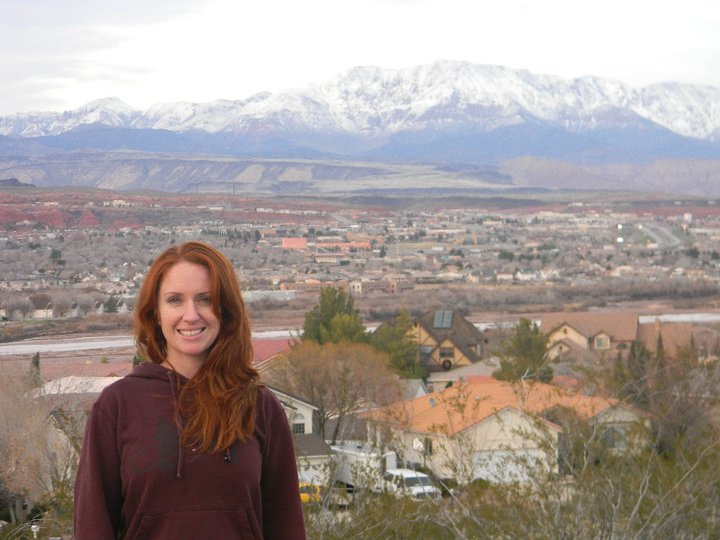 She and Jamal kept reinvesting in their business without ever taking out a single loan. They have been able to organically grow their business and even have loyal clients who still shop with Henna Sooq to this very day. Henna is a single, simple plant carrying thousands of years of tradition, drawing people together from all over the world. Our common love for this beautiful healing plant has fostered the creation of a dynamic, diverse community. Henna is used to naturally color your hair and cover greys, it's very healing to the skin and creates gorgeous henna body art. Khadija has had clients whose scalp you can see and with henna treatments the hair thickened up so much you could barely see the skin of the scalp. It not only colors the hair strands but it also is strengthening creating longer, healthier hair strands. We've had client suffering from HFS where due to certain medications it has caused hand-foot syndrome where the skin dries, cracks and can bleed. Through using henna paste on the affected areas, the cooling properties of henna drastically gives comfort to the affected areas. Some of the most beautiful art Khadija has created are Henna Crowns for those suffering from cancer and alopecia. Khadija especially loves doing pregnancy henna belly art and bridal henna for African and Caribbean weddings. 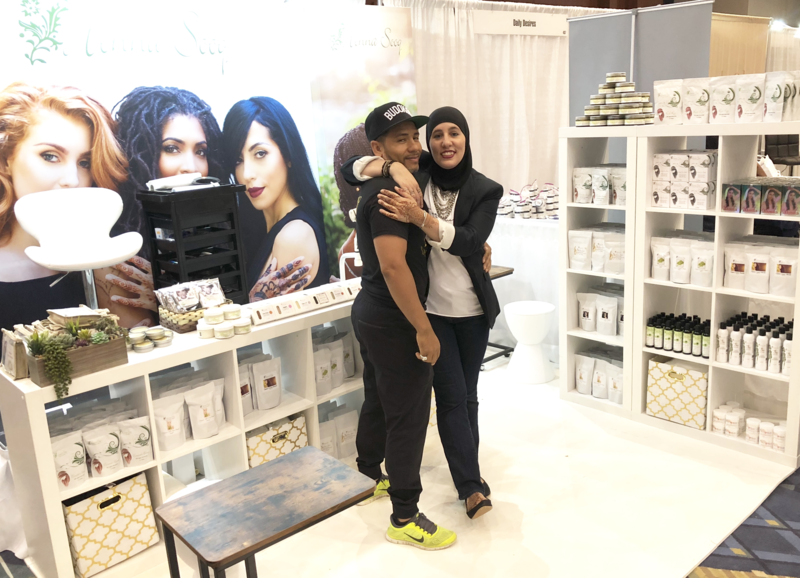 Khadija is a leading expert henna hair care expert and professional henna artist, that has put her at the forefront of the natural hair industry as a trusted and valued member in the community worldwide. 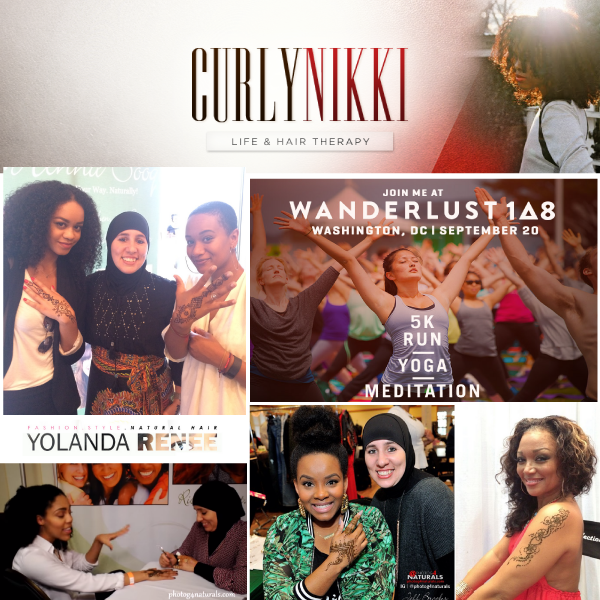 She has shared my expertise and knowledge at several major events, hair shows and conferences. People trust in our brand largely because Khadija provides a quality product and she personally supports clients in their journey to healthier hair. Khadija empowers both women and men to make healthy life choices by giving people the tools through the health and wellness of henna and natural ingredients. Our natural ingredients enable our clients to create a DIY (do it yourself) hair regimen where they can focus on the strengthening, shine, definition and longer hair strands as well as coloring their hair and greys. Khadija offers one on one consultations, classes and run certification programs to support clients and stylists through their journey to healthier hair. What we believe in. We believe in reaching all people to build bridges within our communities. To fuse and bring them together so that they may know get to know each other. 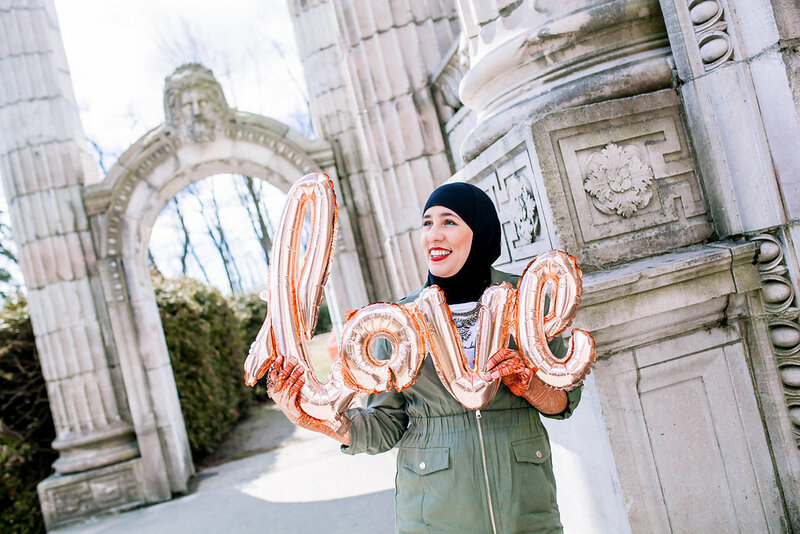 Through the education that Khadija teaches to her students and clients, she's able to bring people together in love, beauty and healthy living. Did you know that henna grows in many parts of Africa? We often get asked by our clients who are African American, if by doing henna, would this be considered cultural misappropriation. No it absolutely is not. 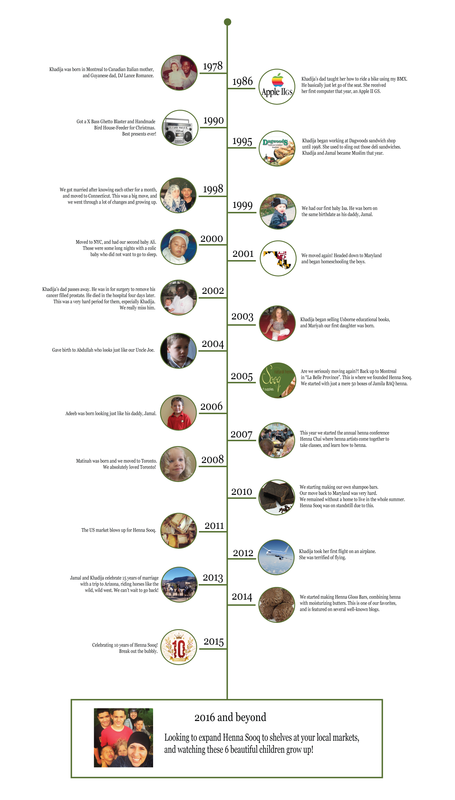 Henna grows is many parts of Africa which in research, shows that henna actually originated in Africa. We may not realize that henna is a big part of the roots and culture of African Americans because the culture and traditions have been taken away through slavery. African Americans are African. Henna is truly part of the African American culture that has been lost and through Henna Sooq, we are on the path to self discovery. The experience of Morocco was one of the most beautiful, humbling and exciting experiences Khadija has ever had. Being in Morocco, she saw first hand the henna farms, the women working the argan nuts into oil by hand, the beautiful roses to make rose water, the mineral-rich clay from the Atlas Mountains, the hammam (moroccan spa) and especially loved the hospitality of the people. Khadija and Jamal travelled into the Sahara desert to see the henna farms where they were able to view fields upon fields of henna plants, learn about the growth and cultivation of the henna to get the best quality henna powder, see the traditional uses of henna and discover beauty secrets of the Moroccan women. Khadija has fallen so in love with Morocco, that she is going to be releasing a Moroccan Collection, where we will share with you the self care of Moroccan women with you through healthy hair care and beauty. In this face-paced world we live in, it's important to take the time for self care, both for our health and mental wellness. Through what Moroccan women have taught us, we will bring the Moroccan beauty ritual to you. Henna is a plant that grows in very hot, dry climates such as Morocco, India, Pakistan, and Yemen. This plant is used for traditional body art, sometimes called mehndi, for dyeing hair naturally, for its medicinal properties, and for art. They only knew each other for one month and they knew they were meant to be together. It was an online website, a few phones calls and Jamal drove up to Canada to meet Khadija. They set a date and married in the beautiful city of Montreal in 1998. They have 6 beautiful children together. Khadija has over 20 years experience with henna hair color and natural hair care and is as a professional henna artist. Jamal a lifetime Health and Fitness Enthusiast has been using henna in his hair and getting henna body art since his adolescent years. 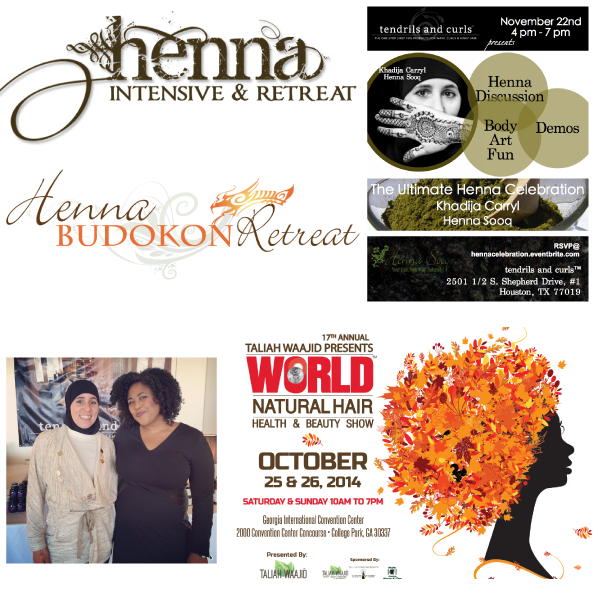 Our Mission: "To provide people with high quality henna products, tools and education to strengthen and color their hair naturally; promoting beautification through the traditional form of henna body art." 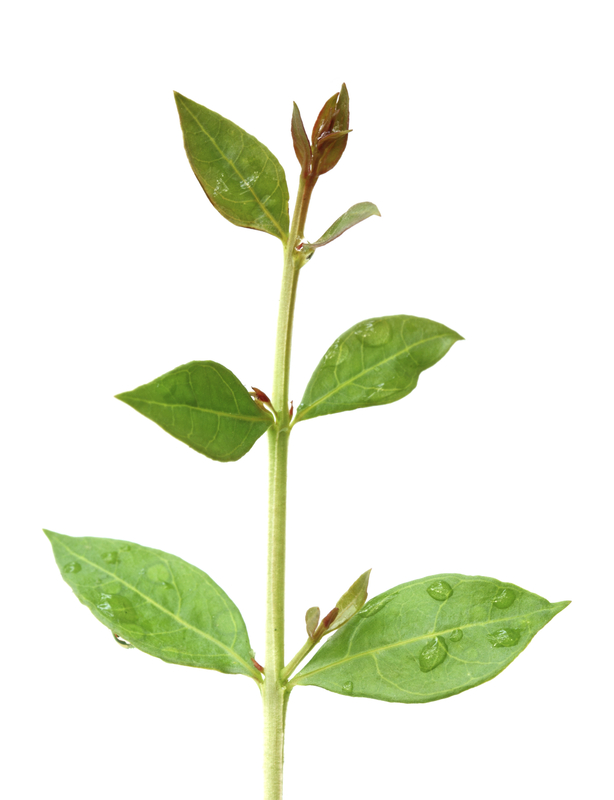 Our Vision: "Through a simple henna plant bring beauty, passion and wellness to every person." Splinta24 of YouTube has been using henna, and natural hair care products for many years. She is a well-known youtuber who shares with others her experiences. Her favorite products at Henna Sooq are Jamila henna powder, our shampoo bars, and several ayurvedic herbs. 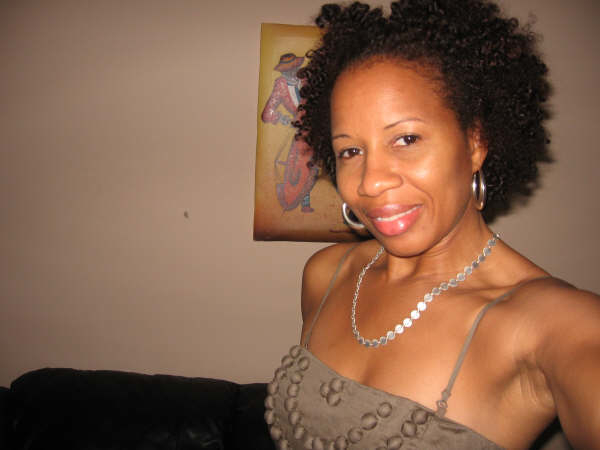 She has gorgeous, healthy curly hair, and she maintains it perfectly! “Recently, while looking up information about Henna, I stumbled across the Henna Sooq site. After reading a bit and wandering to the Henna blog spot I decided that I would try coloring my hair with Henna. This was a huge step for me. 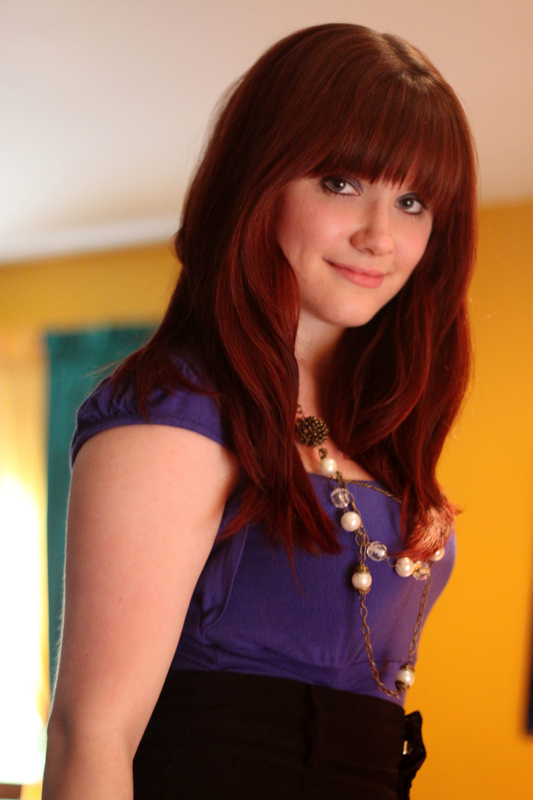 Just last year..."
Stevie has been using Jamila henna powder for years now, and her color has become a rich red. Her hair is extremely healthy, and shiny. Her recipe is so simple and gives her perfect results. Read more about Stevie's recipe and hair journey.